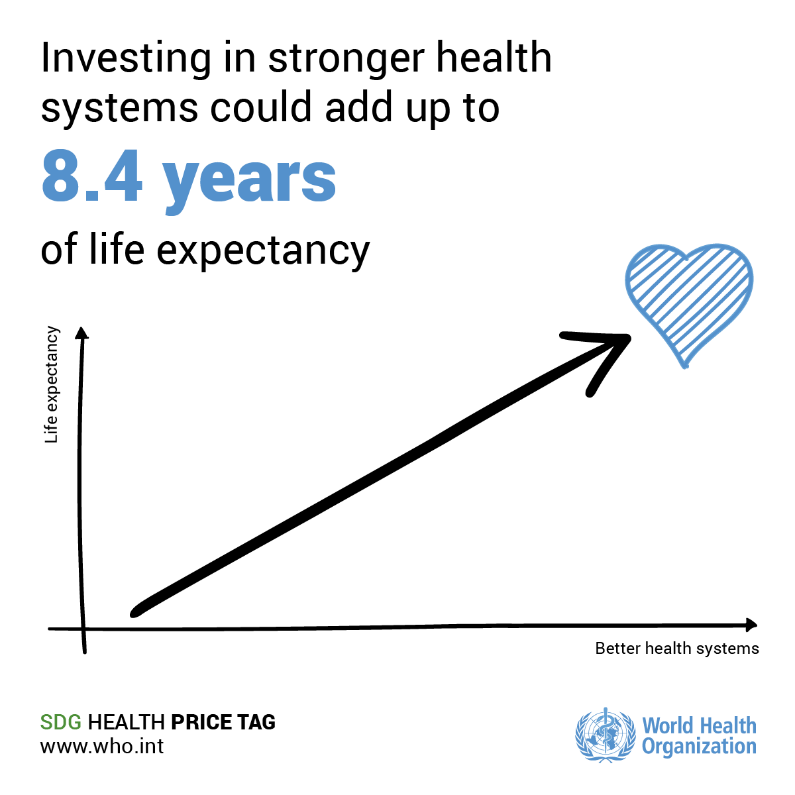 The World Health Organisation shows in this infographic that investing in stronger health systems can add up to 8.4 years of life expectancy! We can also take control proactively of our own health & wellness to invest in a healthier happier life for ourselves! Infographic taken from World Health Organization.